With Tire Rotation Special up to 6qts of oil. Service includes: Change engine oil, replace oil filter, rotate & balance tires, inspect brake linings, perform multi-point inspection, exterior wash.
See service advisor for details. Please present coupon at time of write-up. Cannot be combined with any other special. Prices may vary by model. Service will be completed per model specifications. Subaru vehicles only. *Cost for coolant/refrigerant extra. Plus applicable taxes & hazardous waste fees. Cannot be combined with any other coupon, offer or advertised special. Must present coupon at time of write-up. Subaru vehicles only. Nitrogen in your tires can increase fuel economy and improve tire life. We will install Nitrogen with the purchase of four tires. We'll also honor FREE top offs for the life of your tires. Our auto service deals and car repair coupons for drivers in Lakeland, FL, along with Brandon, Winter Haven, Plant City, and Lake Wales, offer you a way to save, and act as a good way to remind you schedule checkups with us here at our service center. Whether you need an oil or filter change, tire rotation, wheel alignment, brake repair, and anything in between, there's a chance we'd be currently offering a service special on it. Our specials change regularly, and the folks in central Florida who are able to take advantage of these offerings can see the benefit. Your Subaru is going to run smoother, and last longer. When you've got a Subaru, the idea is that it is going to provide you with many years of dependable driving, as the models you find here at Cannon Subaru are known for being rugged and reliable. Of course, you increase your chances of that happening with regular and routine service from us. Our goal is to give you a standout experience, but we also want you to experience savings on maintenance as well, which is why we offer many different car service specials. Take a look at our ever-changing service specials, and find a service you need, or want, and schedule an appointment with us. 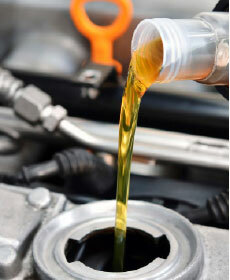 Our team would be happy to set up a time for you and help you maintain your vehicle, for continued satisfaction.